So there are many patients who do not quite understand how billing through their insurance companies work. Words like deductible, copay, coinsurance, and premium all seem to blur together resulting in confusion in terms of what they may anticipate paying for a given medical service. This blog is to help demystify and clear up the confusion so that hopefully, there will be no surprises when you get a bill from either your physician or the hospital. SO, perhaps the best way to explain the differences is through an example. Keep in mind that every single health insurance plan have different charges (even within the SAME plan with the same name), so look at the contract you signed to see exactly what your obligations are. This means he must pay $10,000 per year just to have Anthem PPO health insurance. This means he must pay $500 in a given year BEFORE his health insurance coverage even kicks in. This means that if he sees a primary care doctor, he will have to pay $30 every time. $50 and $75 for a specialist or ER visit respectively. He will be responsible to pay 20% of allowable charges of his healthcare bill set by his insurance company, Anthem PPO. In case you lost or misplaced your contract, call the number on your insurance card to get all this information. For those individuals where their health insurance is covered by their employer (ie, you are not paying premiums), you STILL are paying premiums reflected in lower wages OR hidden costs that may not be readily apparent. However, the expense of health insurance in a company is spread out through all its workers and the company gets a "group rate" that is cheaper than if an individual gets health insurance on his/her own. HINT: Before you make an appointment with a doctor, make sure that the physician participates with your health insurance plan. Otherwise, you may find yourself paying the entire bill out of your own pocket! Click here to read more about this situation. A final point to consider is that the copays, deductibles, co-insurances, etc discussed above apply if a physician is IN-NETWORK. OUT-OF-NETWORK coverage means a given doctor participates with your insurance, but you will be paying much more than if you remained with a physician who is an IN-NETWORK participating provider. How do you find out whether a given physician is in-network or out-of-network? Call your health insurance plan and ask. Click here for more info regarding in-network vs out-of-network. To see what health insurance plans Fauquier ENT participates with, click here. Hey thanks for the information on health insurance billing. 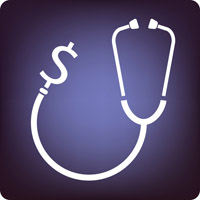 Medical insurance billing is no longer as time consuming as it once was. Now you have the opportunity to electronically file insurance claims quickly and resolve issues easily.